In part one of this series, “An Executive Perspective on Changing Work and Resource Dynamics,” I discussed the challenges and obstacles executives and senior leaders face in this geographically dispersed world of diverse ways teams work. Now, let’s analyze the key to maintaining a flexible approach while connecting all the parts of your organization—work and resource management technology. According to Ventana Research CEO and Chief Research Officer, Mark Smith, “work and resource management (WRM) is a set of unified and distributed technology-driven business processes that define, document, and execute tasks.” The keyword here is unified, as traditional tools or personal productivity applications, such as email and spreadsheets, limit collaboration and do not provide the level of visibility most executives need for making strategic decisions. Traditional tools are highly disconnected, and they simply don’t hold up in this new world of work. What new technology investments should executive teams consider to materially improve effectiveness and alignment to expected outcomes? Any decision regarding technology investments should represent a strategic step forward. 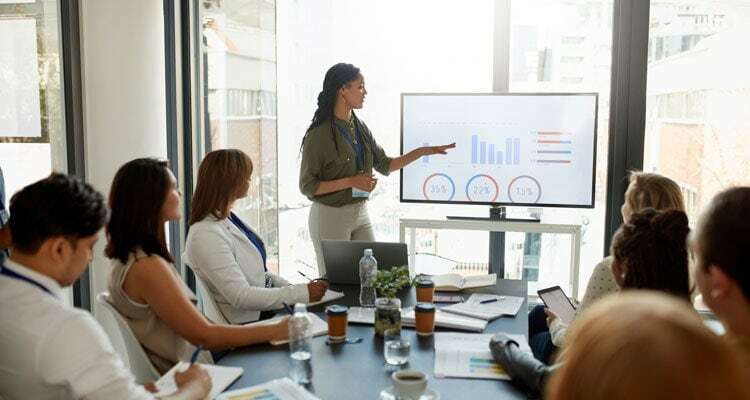 Executive leadership must ensure that the investments they consider will improve both the engagement in and effectiveness of work and resource management across the organization. Avoid the pitfalls of one-off approaches and using too many tools. The approach selected should enable management to better understand how the organization operates, improve visibility as well as the allocation of resources, tie work and resources into the strategic plan and roadmap, and establish a collaborative environment in which work is assigned and prioritized. Embracing WRM enables a more strategic focus. But what does that really mean and how does technology play a key role? In line with the definition of WRM stated earlier, a dedicated, unified, and tech-based approach allows managers to see how all resources are interconnected, thus enabling them to better align those resources to the organization’s strategy and desired business outcomes. Traditional project management applications or the use of personal productivity tools simply do not provide the necessary level of agility and visibility. WRM enables a more strategic focus by providing a modern, unified approach that opens a real-time view into operations. This results in better organizational agility, allowing managers to assess and change direction where needed. Suddenly, the organization becomes more responsive and is able to utilize resources more effectively. Technology plays a key role by improving the management of tasks and activities and the alignment to strategic objectives. This means managing and assigning tasks in a way that provides people with both a view into how their assignment helps achieve organizational goals as well as a sense of accomplishment from their contribution. In summary, work and resource management helps create a culture of engagement and achievement. Work is allocated evenly, resources are properly distributed, and the organization ultimately becomes more strategic. Executives and senior leaders must focus on maximizing both the efficiency and effectiveness of their work and resources to achieve strategic goals, and the proper technology investments will help them get there. Coming up next in part three of this series, I will discuss how to align WRM with digital transformation priorities. For more WRM insights in the meantime, be sure to explore www.planview.com. Previous Planview Blog post, Artificial Intelligence: What Does it Mean for Businesses?